Theater supporters say funding is needed for environmental cleanup before other work can take place. 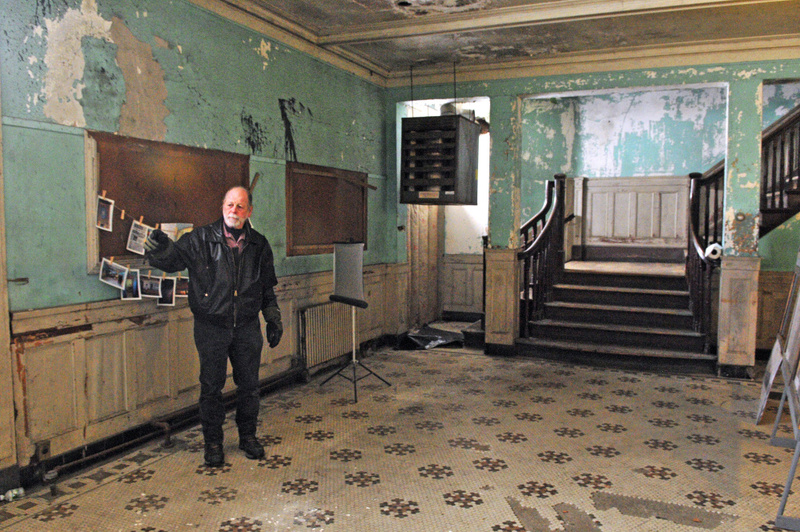 AUGUSTA — City councilors expressed support for a request from the group trying to save the Colonial Theatre for an infusion of cash to help pay for environmental cleanup needed in order to be able to repair the historic but long-neglected building’s floor. Leaders of efforts to restore and reopen the riverside downtown former movie theater asked councilors to turn over the $300,000 councilors had committed to the project sooner than city officials had agreed to do so previously. That request includes asking that the city provide $30,000 as soon as possible to clean up a combination of coal ash and asbestos that is in the building’s basement, the presence of which is preventing the planned and fully funded $100,000 repair of the floor of the theater, which has a large hole in the middle of it in front of the stage. The hole extends down into the basement. The city, in a previous council vote, committed to provide $300,000 to the restoration of the theater, but not until the project is nearing completion. Tobias Parkhurst, chairman of the theater’s board of directors, who is also a downtown business and building owner, and Andrew Silsby, a theater board member and president of Kennebec Savings Bank, approached councilors Thursday to ask that $30,000 of the city money be given to the theater now. Parkhurst also asked, in a letter to the city, that the city speed up the release of the remaining money so they could be awarded sooner in the construction project than the city had planned. Councilors were supportive of the request at their Thursday informational meeting and are expected to vote on the proposal at their business meeting next week. Ward 3 Councilor Harold Elliot and At-large Councilor Mark O’Brien said they would agree to release $30,000 in city money to address the immediate need but were not ready to commit to speeding up the release of the remaining funds. They said they would be willing to consider that request separately. 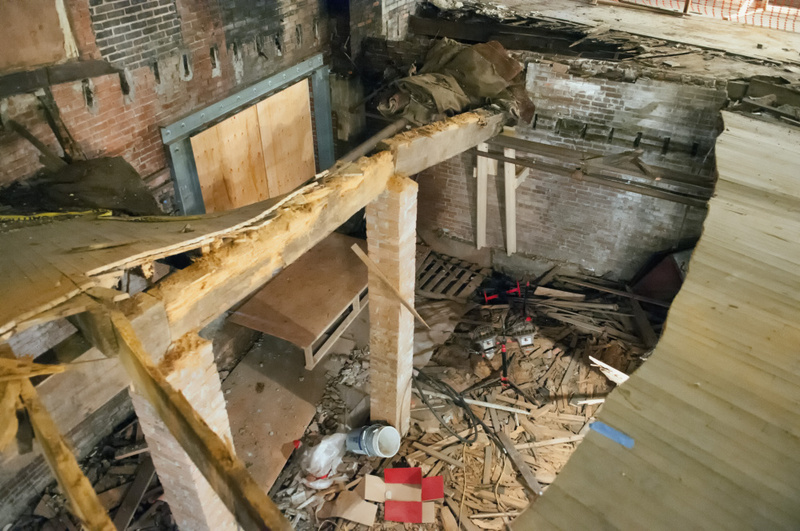 Theater supporters said the nonprofit organization seeking to restore the theater doesn’t have the estimated $60,000 it could take to clean up a combination of coal ash and asbestos in the basement of the building. And that environmental work needs to take place before the floor is fixed, to avoid exposing workers fixing the floor to the asbestos in the basement. The nonprofit group seeking to restore and reopen the downtown Augusta theater received a $100,000 donation from Kennebec Savings Bank in August. But that funding is designated specifically to fix the theater’s floor. Parkhurst said it is believed coal ash, left from years of coal being used to heat the structure, was thrown into the basement. The asbestos, meanwhile, is from wrapping on utility pipes that was damaged over the years, some of which fell into the basement, contaminating the coal ash. He thinks fixing the floor will make fundraising easier. Silsby said donors and others might be put off by the appearance of the gaping hole in the theater floor, so the floor needs to be fixed to help bring in donations. About $750,000 has been raised for the project so far, but Parkhurst said that money either already has been spent on repairs, such as the replacement of the roof, or is committed to other aspects of it. He said it is unusual for work to be taking place on a project while money still is being raised for it. He said when the work could take place depends on the community’s generosity. In October 2016, councilors voted unanimously to commit $300,000 in city money, left over from the Lithgow Public Library renovation and expansion, to the Colonial Theatre restoration. But at City Manager William Bridgeo’s suggestion, they specified the money won’t be paid to the nonprofit group until the project, estimated to cost around $6 million to build, is substantially complete and has a certificate of occupancy. At the time, Bridgeo said that condition was placed on the city grant money so taxpayer money would not be spent only to see the project fail, such as if too little money is raised from other sources, or the work doesn’t take place for any reason. Organizers hope to raise about $8.5 million for the project, with about $6 million of that for construction. About $2.2 million of the funding was expected to come from state and federal historic preservation tax credits.